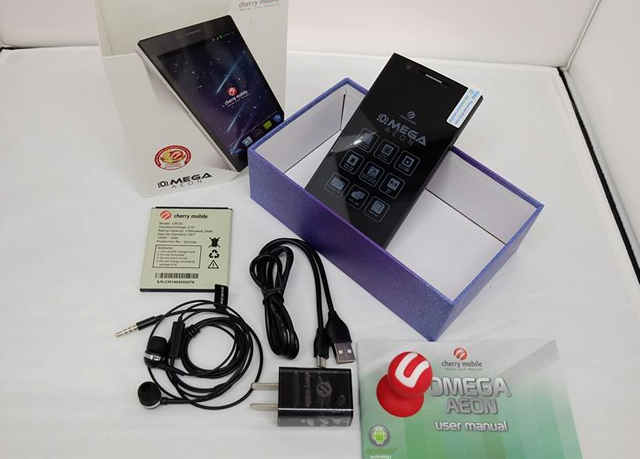 Cherry Mobile Omega Aeon is one of the most awaited phones to be released during the Cherry Mobile Festival 2014. It lies on the sweet spot of offering a gorgeous OGS display, BSI equipped camera, large storage space and the power of a quad core processor yet still affordable. 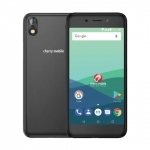 Cherry Mobile Omega Aeon’s design is akin to Google’s Nexus lineup. You can’t deny the sleek form factor which also results from the curved back cover emulating a thinner profile. 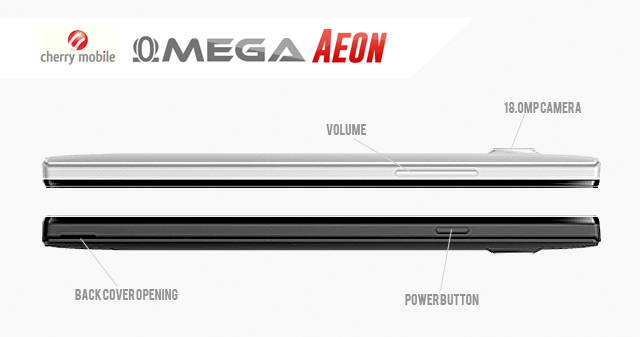 The most interesting feature of Cherry Mobile Omega Aeon might be its screen. It’s a 5 inch IPS panel with High Definition resolution and OGS technology. These technologies give the Aeon one of the best display’s among local smartphones. 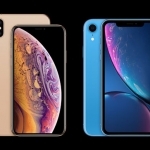 Icons, texts, photos, videos and other graphics look clear, crisp and highly detailed even at an angle while the OGS feature makes you feel like you are really touching them by making the screen thinner. Sadly, Cherry Mobile Omega Aeon doesn’t have a scratch resistant DragonTrail or Gorilla glass. You’ll have to equip it with a reliable screen protector. Another sought after feature of the Cherry Mobile Omega Aeon is its 13MP autofocus camera with a Backside Illuminated sensor. This makes photos look great even if you take them at night on a poorly lit environment. However, this looks like another software interpolated camera. The back cover of Cherry Mobile Omega Aeon indicates the camera to be 8.0 MP only (units will ship with 13.0MP printed under the camera). Furthermore, the MSM8212 chip can only support up to 8MP cameras. 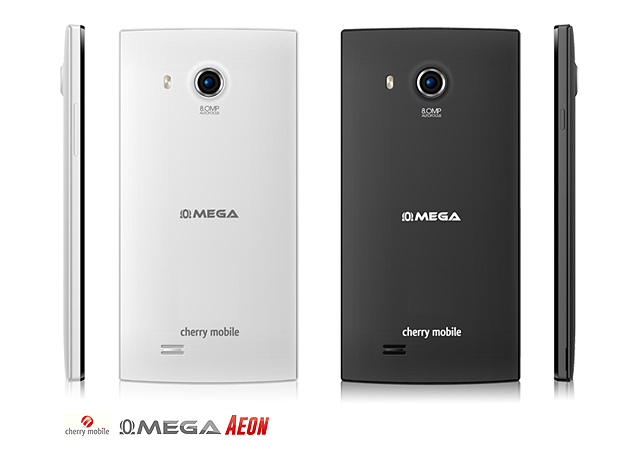 Cherry Mobile Omega Aeon also has a 5MP front camera to take care of your selfies. If you took one, I’d be happy to see them in the comments below. Another feature that makes Cherry Mobile Omega Aeon a good pick is its 1.2GHz quad core Snapdragon 200 processor. Qualcomm chips like this perform better than its MediaTek counterpart found in most locally branded smartphones. If you’re into playing resource intensive games on your phone, Cherry Mobile Omega Aeon’s Adreno 305 will process the 3D graphics for your games. It also has 1GB of RAM to prevent stutters and lags. 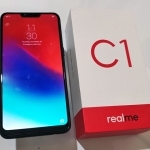 However, there’s a limit to where the smooth experience ends on Cherry Mobile Omega Aeon since its GPU also takes the strain of an HD display. 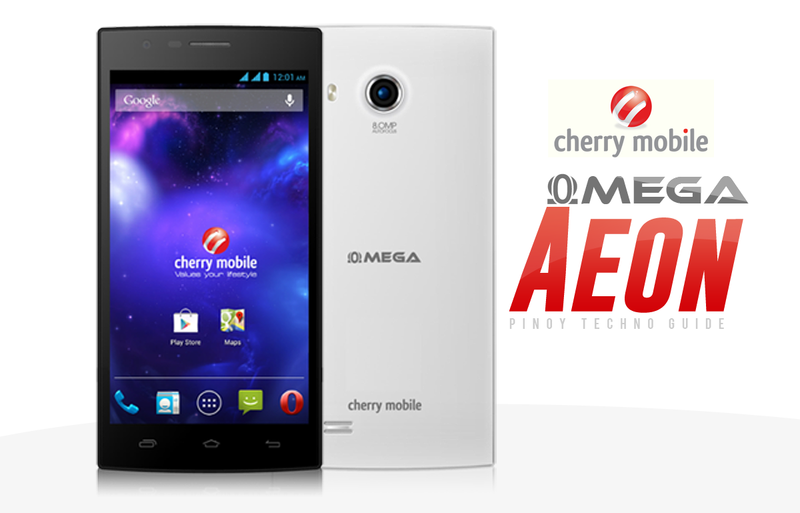 Cherry Mobile Omega Aeon comes with 4GB of onboard storage space but you can add up to 64GB more using a Micro SD card. USB OTG seems to be absent though. Nevertheless, Wi-Fi, 3G, Bluetooth 4.0, GPS and FM Radio are all present. Lastly, Cherry Mobile Omega Aeon runs on Android 4.3 Jelly Bean and an update to Android 4.4 Kitkat is on its way. 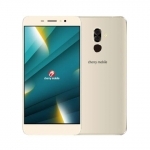 This will make it run smoother due to the improvements made by Google on the latest flavor of Android and give you more fun with its new features. 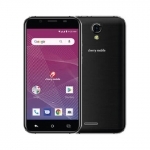 The major drawback for Cherry Mobile Omega Aeon is its 1,700mAh battery which is not enough for a quad core smartphone with a power hungry 5 inch HD screen. There’s also no free power bank bundled with the phone so you have to buy your own. 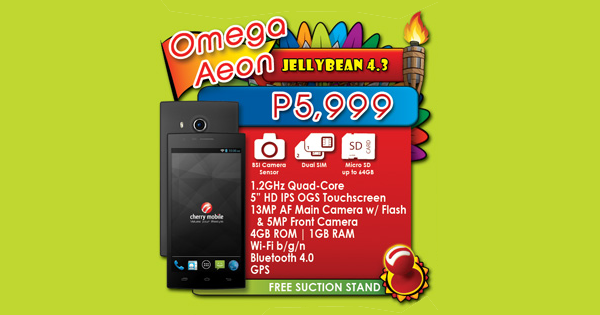 Cherry Mobile Omega Aeon retails for ₱5,999.00 nationwide and comes with a free suction stand. Like it or hate it? Tell us why in the comments below.